Your farm equipment is important to your farm operation! Plan on a place to store your equipment along with have an efficient and warm place to maintain those expensive assets. 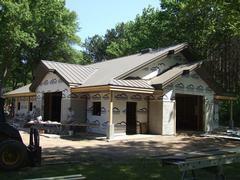 Meyer Buildings, Inc. offers full design and material building packages! The virtue of patience is helpful in every building project, but sometimes it is especially needed. 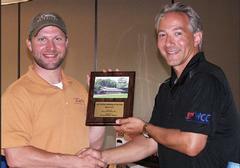 The Wisconsin Frame Builders Association presented its annual Building of the Year awards at its golf outing and awards banquet in Waupaca in August. Awards were presented by WFBA president Doyl Pokorny. 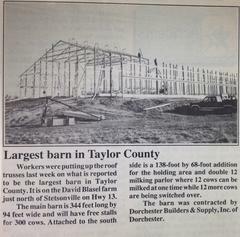 Meyer Buildings was awarded the Building of the Year Award for Horse Barns/Facilities. View the article here.